Rose & YlangYlang - A calming blend of sensual Rose and exotic Ylang Ylang to help evoke positive emotions & arouse the senses. 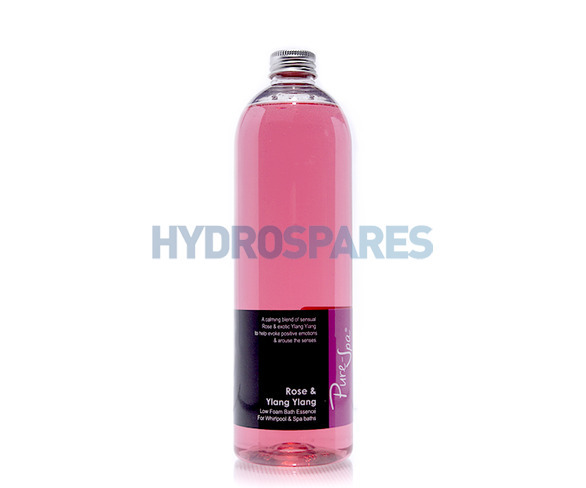 Pure-Spa Oil Free Low Foam Bath Essence - a luxurious aromatic blend to enhance your hydrotherapy experience. Whirlpool bath lovers, we know you love bubbles, but you don't want to disappear in a mass of foam! We have created a range of low foaming bath essences specifically for whirlpool baths that allow you to enjoy an indulgent bubble bath with a subtle fragrance. When are you expecting more stock? Hello, unfortunately this product is being discontinued as we cannot secure certainty of supply. We are however looking at some exciting new products and formulations to replace the range soon.